Beak-shaped grille no longer available. After the reveal of the beakless, refreshed TLX sedan at the New York Auto Show last month, we now know how much coin it'll take to get into Acura's latest mid-size luxury sedan. According to a press release from parent company Honda, the 2018 Acura TLX will start at $33,000 for the base, four-cylinder model. If you'd like your TLX with a V-6, it'll cost you at least $36,200. If you're an Acura fan really looking to splurge, however, the dolled up, slightly harder edged V-6 A-Spec model will run you a minimum of $42,800. 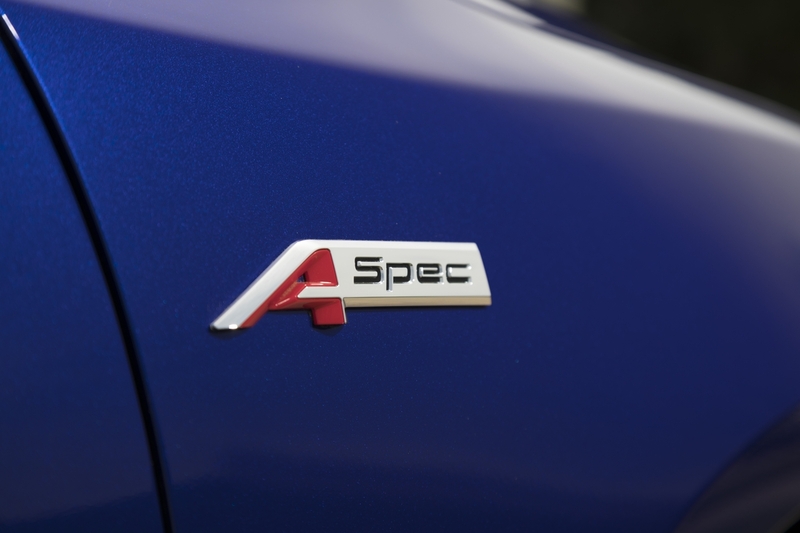 In addition to styling enhancements, the A-Spec also features a bigger rim and tire package with more aggressively tuned suspension, dampers, and steering. On the inside, Acura boasts a redesigned dual-screen infotainment system featuring more intuitive menus, a 30 percent faster response time, Android Auto, and Apple CarPlay. A-Spec TLXes come with more "aggressively bolstered front seats with high-contrast stitching and piping", ambient red LED lighting, a red gauge cluster, brushed aluminum trim, and an exclusively meatier steering wheel. Kind of like a Civic Si for adults, then. 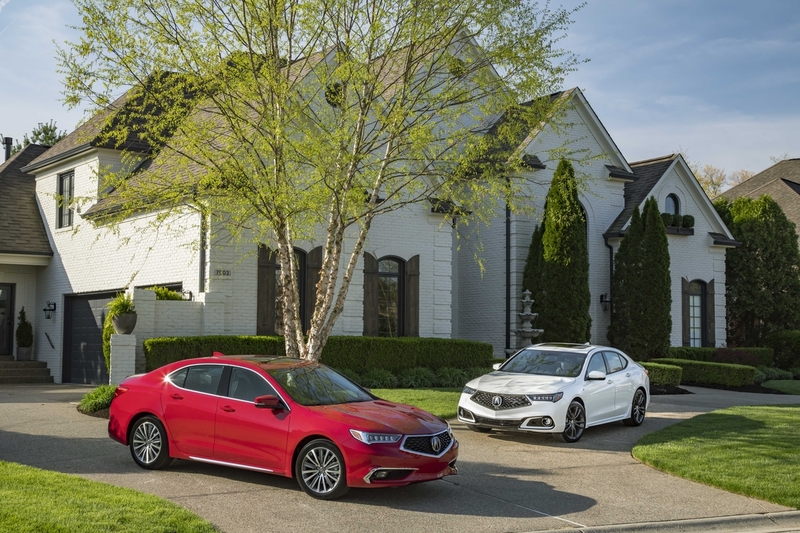 Coming standard to all TLX models is AcuraWatch, which is what the company calls the now-ubiquitous suite of active safety systems comprising of adaptive cruise control, forward collision warning, blind spot sensors, lane departure warning, lane keep assist, you know the drill. 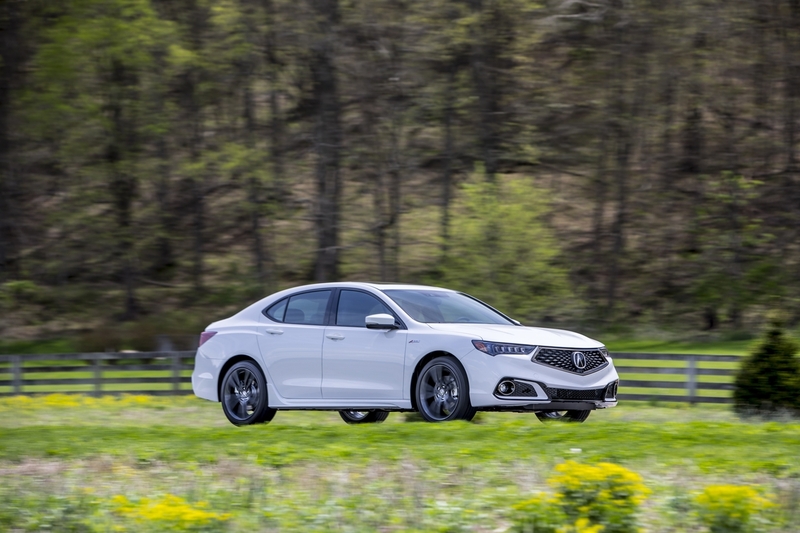 As before, the 2.4-liter 4-cylinder TLX produces 206 horsepower and 182 pound-feet connected to an eight-speed DCT with a torque converter, while the 3.5-liter V-6 pumps out 290 horses and 267 lb-ft of torque going to the wheels via a retuned nine-speed auto. 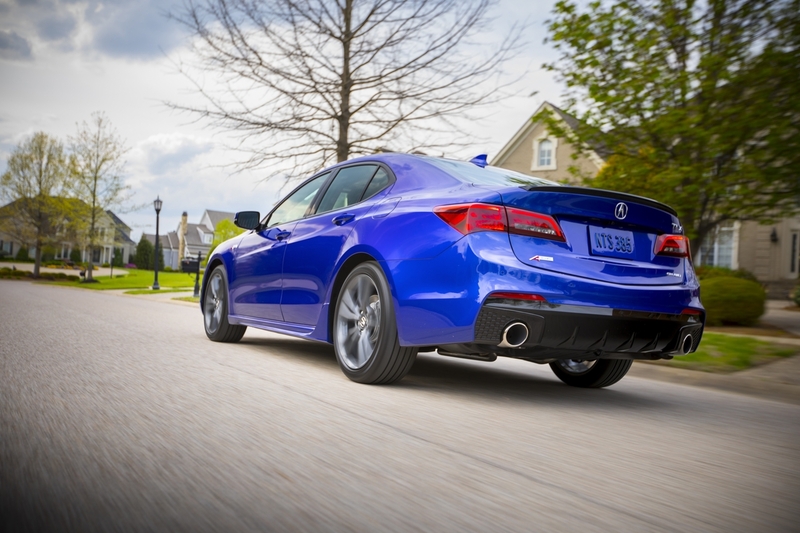 The newly updated Acura TLX will be available to build and order from dealerships June 1st. Acura CDX Might Be Coming to the U.S.
Acura's compact crossover takes the fight to the X1s, Q3s, GLAs, and QX30s of the world.